Win up to 33 free games at 15X Multiplier! 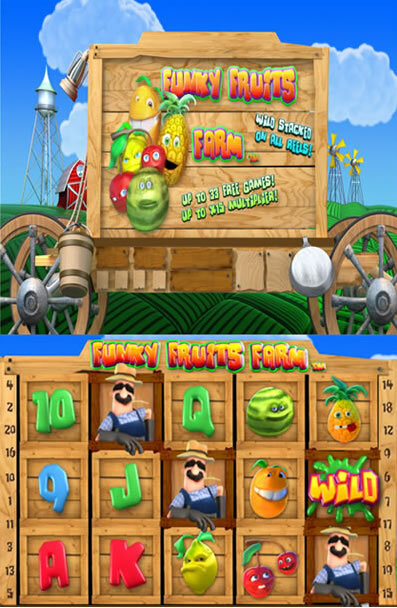 Fly Casino is pleased to present our loyal members Funky Fruits Farm. This weeks spotlight game is a truly wacky gaming experience, this 20-line non-progressive slot game is filled with funny fruit characters that are sure to make you laugh! Get ready to plow the field for incredible wins as you ride the wagon to the barn for the Funky Fruits bonus, where fruits explode to reveal up to 33 free games and 15X multipliers! Saturday March 29, 2014 00:00GMT until 23:59GMT on your first deposit of $/£/€10 or more our members are eligible for our exciting Your Choice bonus. On Monday March 31, 2014 from 00:00GMT until 23:59 GMT, all members on their first deposit of $/£/€30 or more will receive a $/£/€40.00 deposit. On Tuesday April 1, 2014 from 00:00GMT until 23:59 GMT all members on their first deposit of $/£/€50 or more will receive a 155% deposit bonus up to $/£/€155.00.